Cook delicious meals with ease when you use this Vollrath Z434112 Wear-Ever 1.5 qt. 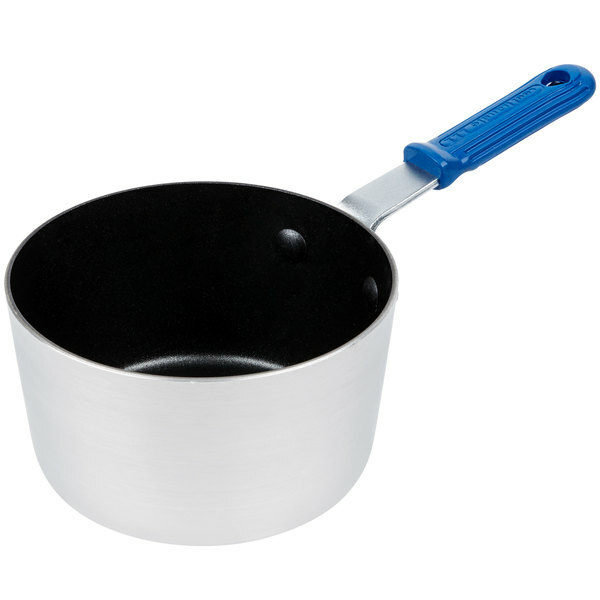 tapered aluminum sauce pan! 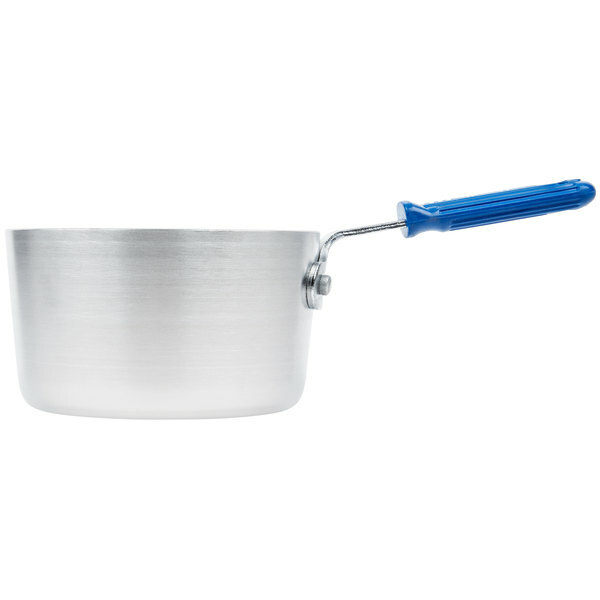 Perfect for making creamy sauces or soups, the Vollrath Z434112 Wear-Ever 1.5 qt. 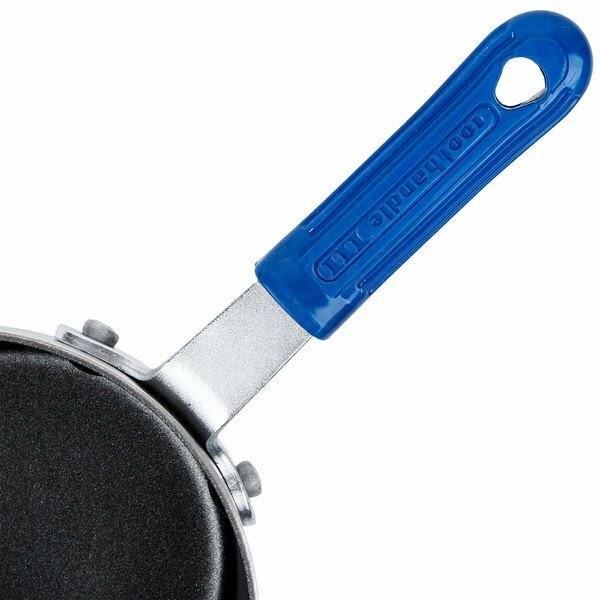 tapered aluminum sauce pan features Vollrath's innovative SteelCoat x3 non-stick coating for longer life, superior durability, and advanced release. 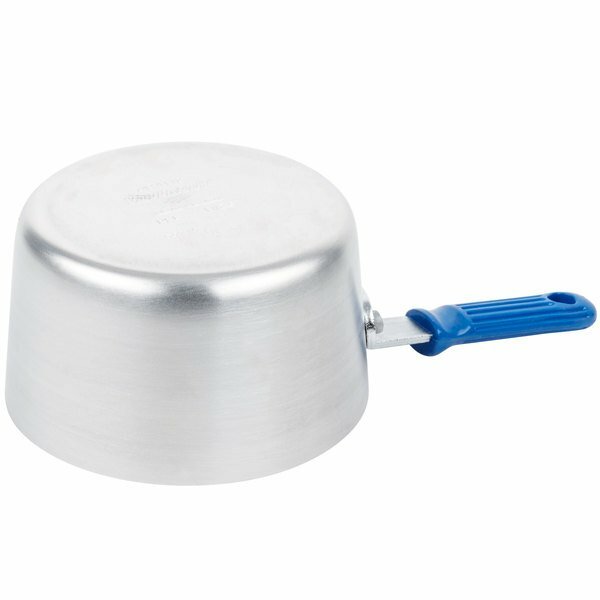 Featuring an easily replaceable cool handle with secure rivets, this pan is both long-lasting and resilient. 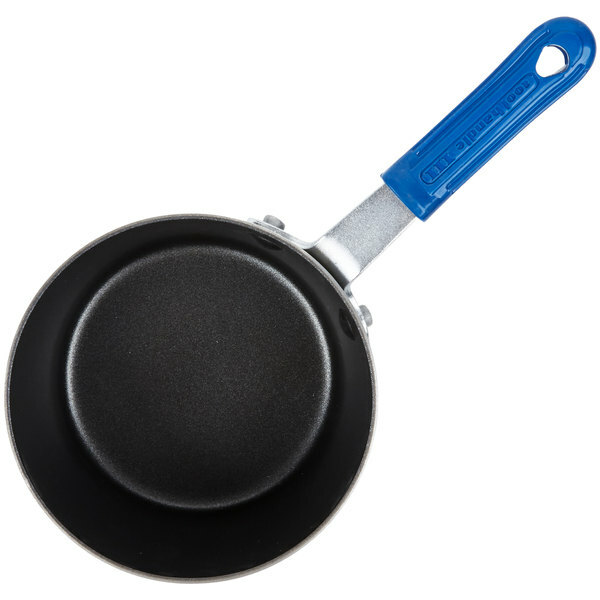 "Love this pan, its is perfect for making quick sauces and melting smaller amounts of chocolate. I will be purchasing a couple more, the clean up is a breeze!" Applied with an exclusive curtain-coating system, this triple-layer environmentally-friendly coating lacks PFOAs, which prolongs the pan's wear-resistance by 25% by using smaller reinforcing agents along its surface for a smooth finish. While shielding against scratching and tarnishing, this coating simultaneously prevents food from bonding with the pan, reducing the need for using oils and fats during cooking. As a result, food will slide from the pan without clinging. 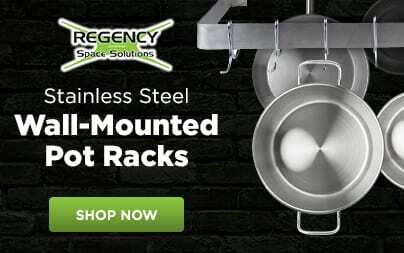 Made of impact-resistant 3004 aluminum alloy, this pan features Vollrath's Cold Draw Process that creates perfectly uniform thickness on the pan's sides and bottom for even heat-transfer and cooking. 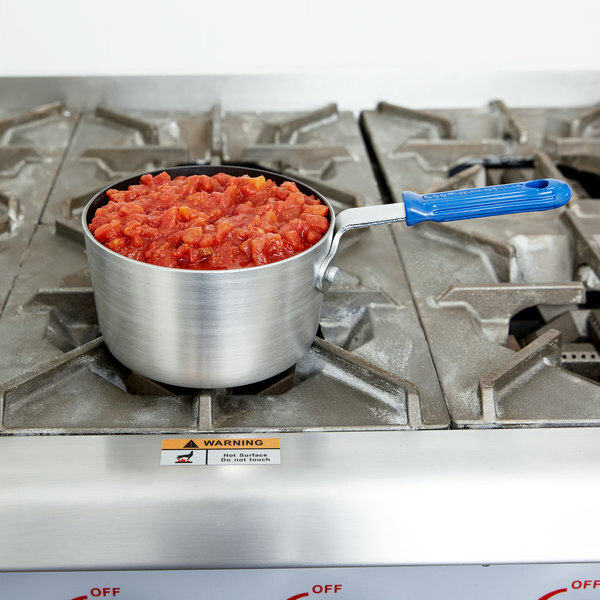 The exclusive Cool Handle with removable silicone handle is oven safe up to 450 degrees Fahrenheit and has excellent heat insulation for prime cooking capabilities. 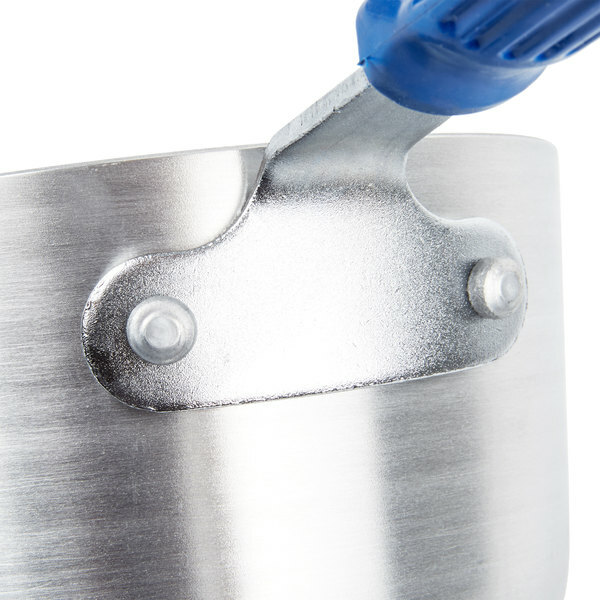 The EverTite riveted handle is also permanently attached to ensure a very rigid connection between handle and vessel and even has a lifetime warranty, guaranteeing longevity. Are the capacities given in the description exact? 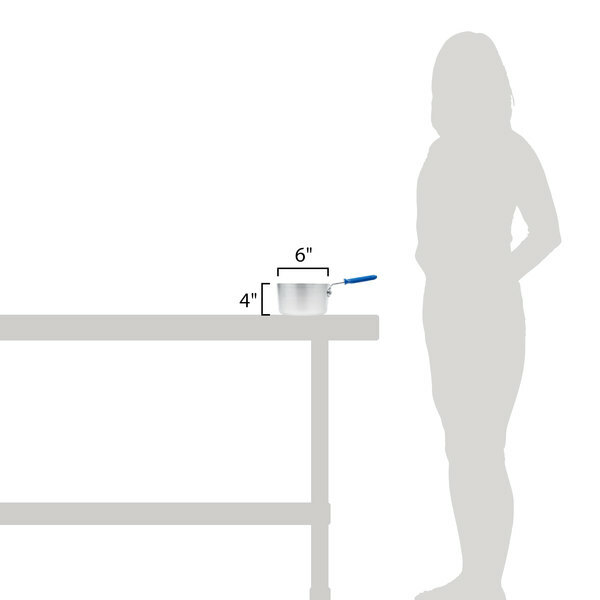 The capacity given for this cookware is an estimate and may be off by +/- 10%. This sauce pan is well built and is of nice size for small portions. The non-stick coating is a plus and cleans up fairly easy. 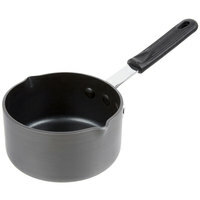 Love this pan, its is perfect for making quick sauces and melting smaller amounts of chocolate. I will be purchasing a couple more, the clean up is a breeze!